Thanks Adrian. I’ve tried looking at the shot in both orientations – slightly prefer it as it is but I can see that it could work both ways. Thank you Helen – I increased the colour saturation and contrast in Photoshop but the leaves were remarkably red to start with. Thanks Nigel. I’m fond (perhaps a little over-fond) of this technique). Sometimes my camera must feel very dizzy! Great fun here – and a nice result. How do you shoot it?! 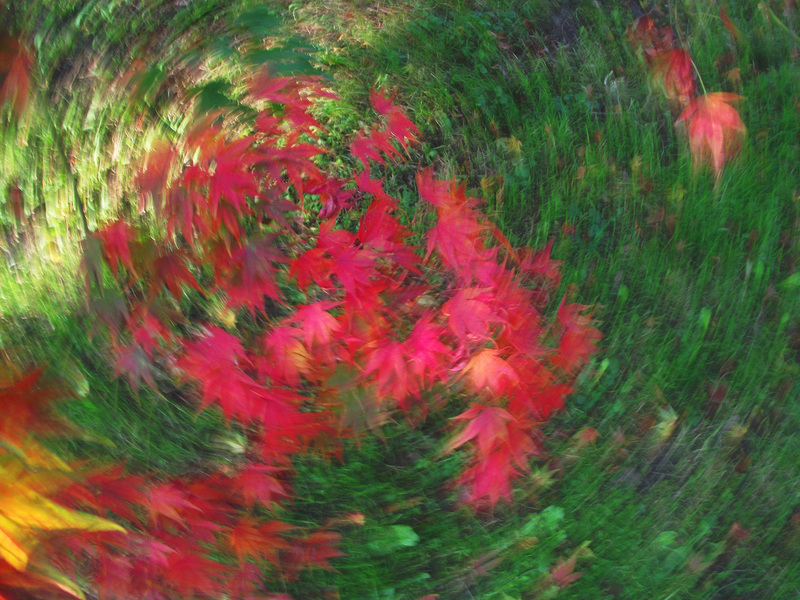 Thanks Truels – just set a slow shutter speed and spin the camera! Unpredictable and there is an element of chance in getting the shutter speed right – but when it works it’s nice. Love this technique and this is a great photo. The swirling is beautiful. Thanks Katie. It’s a nice technique which I use often. Hi Graham, such a great picture, a slight feeling of vertigo, immediately eye-catching and impressionistic! Thank you – appreciate the comment. Thanks. Have to admit I use this technique quite a lot.